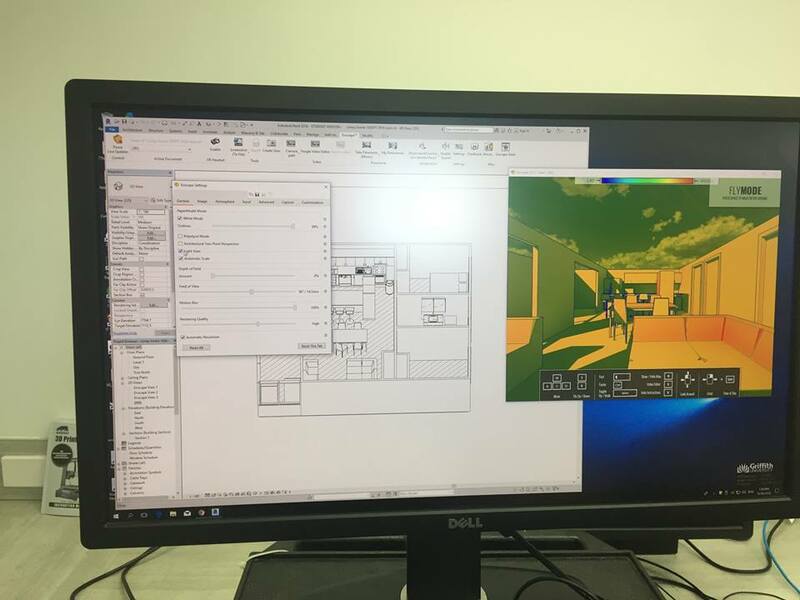 The program Revit was used to create the interior layout of Interview Participant one’s home. 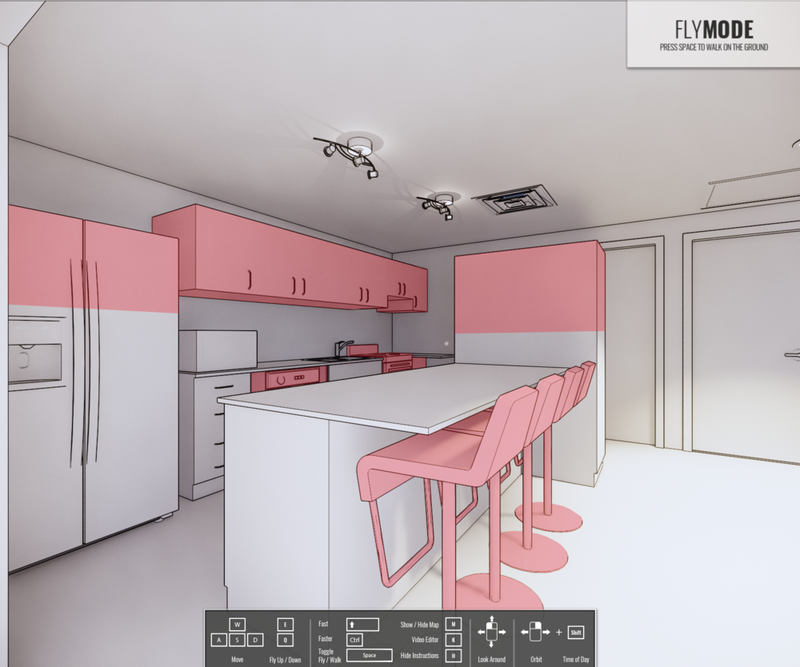 Revit was chosen as the designer had previous knowledge and experience using this program through her interior design degree. 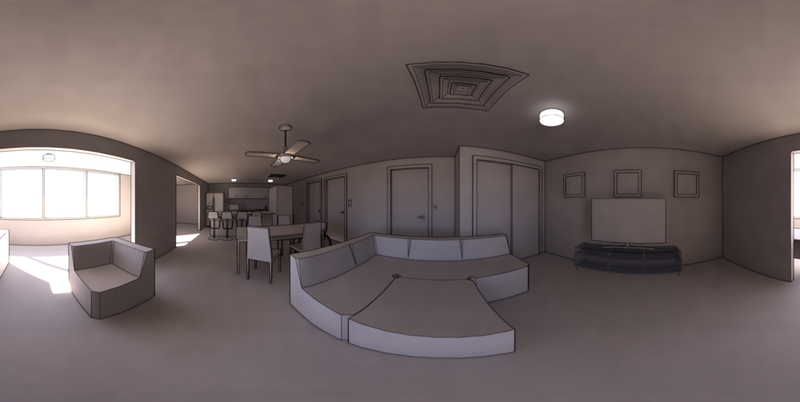 Revit was also chosen as it is one of few interior design programs that can be converted into VR. 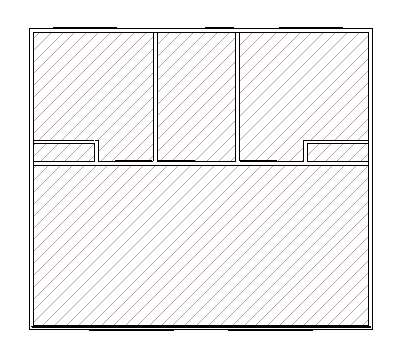 Due to technical issues, the redesign of the home has not been the focus, however a mockup of certain areas have been created to show the future possibilities of the current space. This design developed from speaking to the interview participants, along side research, to design a fully accessible place in regards to the users needs. The program V-Ray was explored and tested as an alternative option. 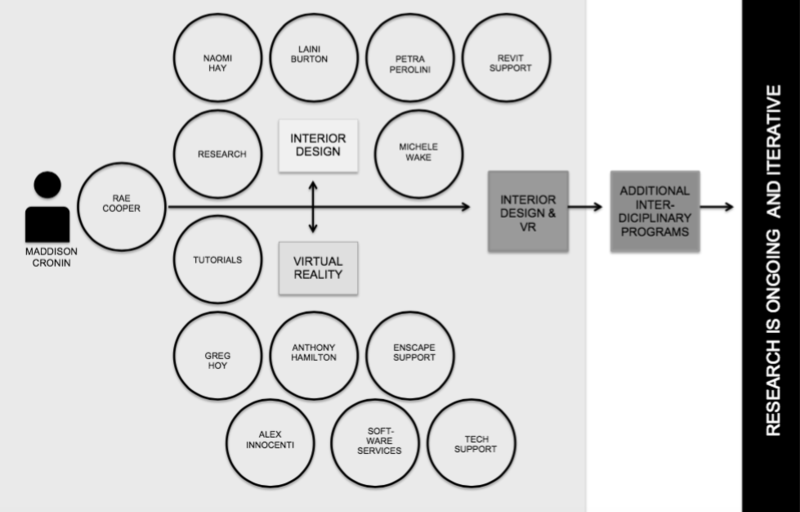 This program is limited to creating renders rather than the VR experience where the user is able to move around the VR environment. Multiple views were needed to show different aspects of the design, as it created still rendered images. The rendering of images was a bit slow, and lacked the quality needed for this project, however the program was fairly simple to use with the addition of a few tutorials. Difficulties were faces when gaining access to Enscape. This resulted in the testing of the Lumion as an alternative option. Lumion is a Revit Pluggin. From testing this program, it was noted that it would not be suitable for the needs of this project. Due to the limited time frame of this research project, there was not sufficient time to learn how to successfully use this program, therefore many difficulties were faced in how to successfully navigate around the space. 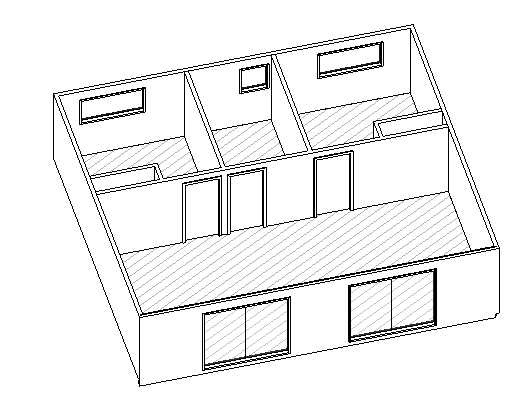 The Revit model was identified as one component, limiting any changes that would be made to the design. The trial option also did not allow the VR experience. 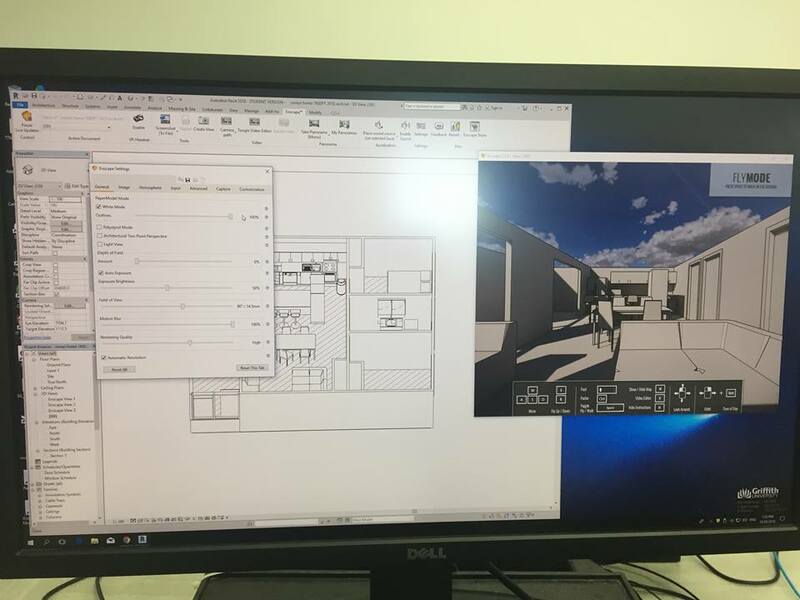 Lumion opens outside of Revit therefore any changes you make to the Revit document will not automatically transfer to the Lumion render. 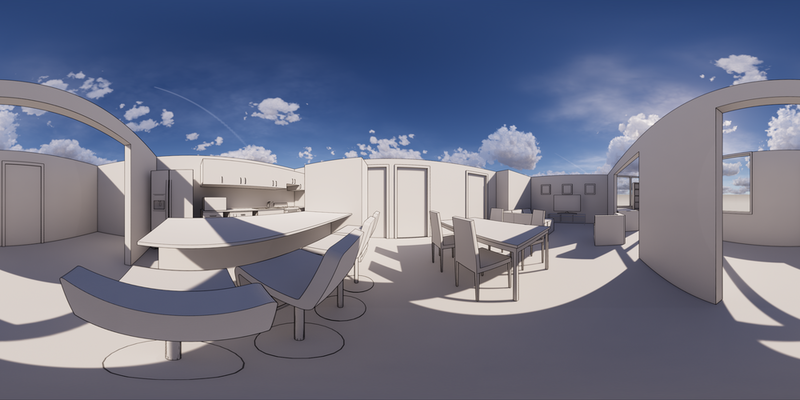 However, changes made to the Revit model can automatically apply to the Enscape Model. 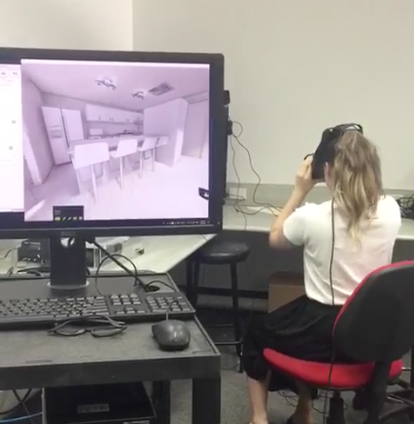 Through researching VR applications, it was acknowledged that Enscape is one of the best programs to use, due to its rendering performance, usability and visual effects. Enscape required a powerful machine and graphics card. Attempting to access Enscape was one of the most time consuming and difficult aspects of this research project due to the limitations that were out of the designers control. Through the long process of gaining access and being provided with a suitable computer, Enscape was obtained. 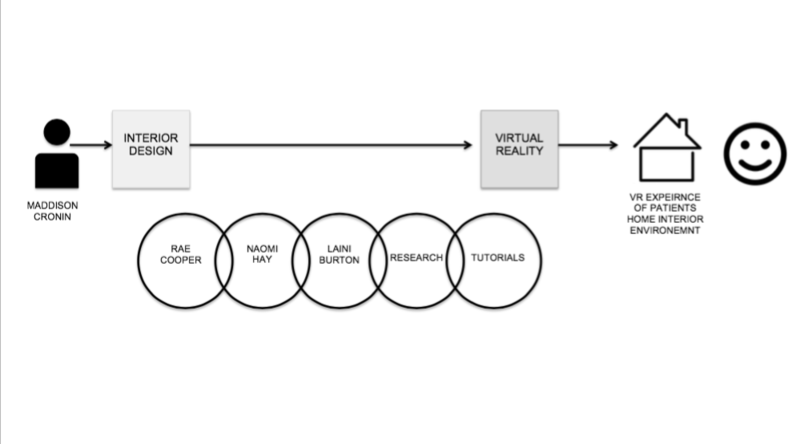 As the computer provided did not have Enscape dowloaded, this process began and an educational licence was gained to have continued use until the end of honours year. Converting the Revit model into the escape plugging was a simple process once everything was as the system required. In regards to graphic cards Enscape recommends as a minimum either using NVIDIA GeForce GTX980 or Quadro M6000 for when using VR. The next step up would be NVIDIA GeForce 1080/Titan, or Quadro P5000/P6000. Enscape recommends that if you are working on a large project, the best graphics card to use is the VR-Ready Quadro cards due to its professional grade. A desktop is required as certain laptops are either not compatible due to the graphics card, and if they are the quality and performance is not as affective as a desktop. Enscape will not open if your computer has multiple graphics cards- one will need to be disabled to load this program. The setting provided lighting adjustments and the ‘White Mode’, which is what the studio outcome model is. 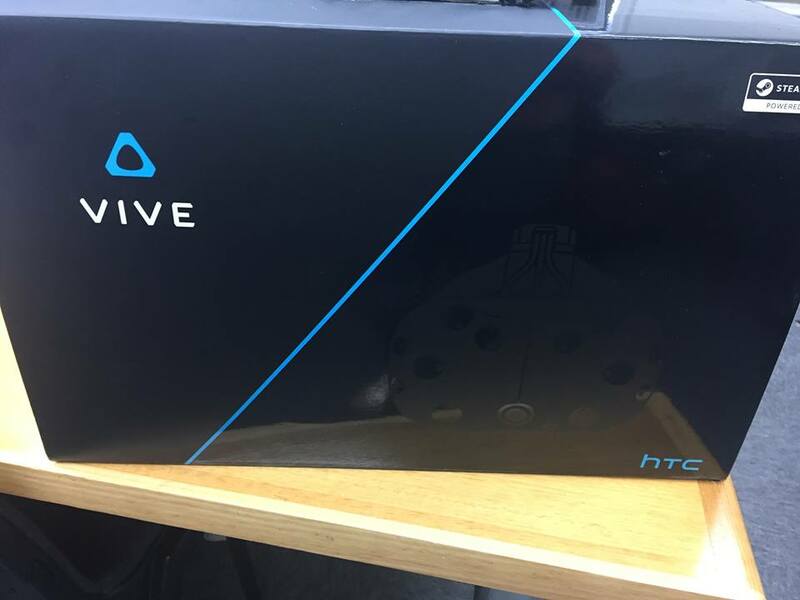 The HTC VIVE headset was chosen as it was accessible through the uni and was compatible with the programs that were being used. 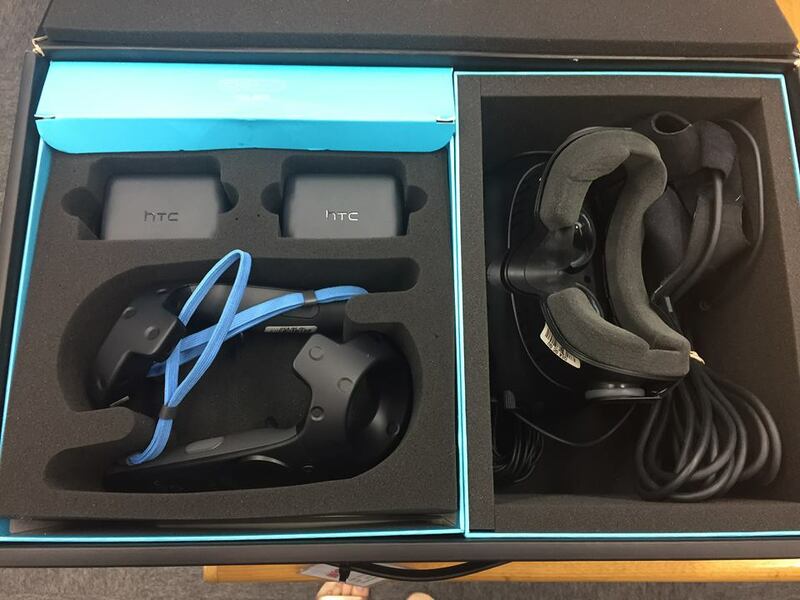 The headset had not yet been setup, therefore the process of downloading the required programs to begin working with the HTC VIVE headset was required. Steam and Vive Port were downloaded as these programs were needed to run the VR headset. Once the programs were loaded, the headset and ports were set up and plugged into the computer with the Enscape file and the vive controllers were wirelessly paired, the VR model was ready for prototype testing. The simplicity of the design is purposeful as the goal is to present the space in a black and white view for the patient. Once the patient begins to look around the room certain elements will be coloured to show the potential problems or aspects of the space that may no longer be accessible to the patient. A mock up of this concept is created in Photoshop to anticipate what the final design could look like, with inaccessible aspects shown in red and problematic aspects displayed in yellow.